Today’s rapid advancements in technology, especially in laptops and hand-held electronic devices has made taking and sharing photos easier than ever before. Even our smart phones have cameras that take pictures of near professional quality. Likewise, advances have been made with Photo Editing software applications that can allow us to accentuate the more desirable aspects of our pictures. Although most of us are familiar with photo editing software such as Adobe Photo Shop, it is a more complex program and is best used by those who have been trained on the software. The reality is that most of the features offered in more advanced programs will simply never be used by the average person. You may ask what can the novice do? One must look at simpler software solutions that are up to the task of fixing imperfections, poor lighting, scale, size, brightness & contrast issues. In this article we will examine a few of the more common free photo editor choices available and see how they stack up to InPixio’s free photo editing software. This is a cross-platform image manipulation program that provides 3rd party plugins and is compatible with several operating systems. It offers specialized, dedicated tools for use by scientists, professional photographers, illustrators, etc. It is a freely distributed program for such tasks as photo retouching, image composition and image authoring. 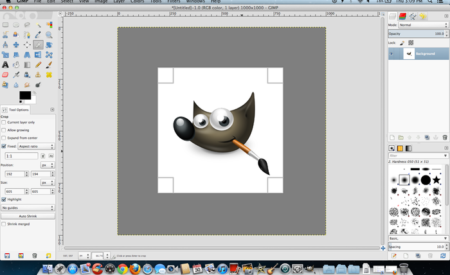 Although GIMP is an extremely versatile and professional software application it does tend to have a steep learning curve and is not well suited to the average computer user. Requires a x64 edition of Windows and a 64-bit capable CPU. Stores temporary files allowing users to undo/redo history. Has a tabbed document interface capable of handling multiple images. Minimum system requirements include: 1GB of RAM, windows 7 SP1 or newer, and 1 GHz processor with a dual-core recommendation. Software is Microsoft Windows compatible with NT/2000/XP/Vista/7/8/10. 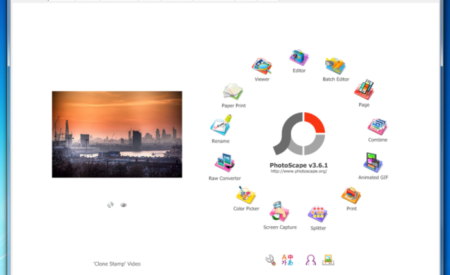 It is also compatible with Window 10 and Mac with the PhotoScape x version. Allows you to batch edit and attach multiple photos that can be combined into one new photo. Will convert RAW to JPG. As we see above the InPixio Free Photo editor stands out in certain areas but most noticeably when it comes to the ease of use and straight forward modern interface. +80 original frames: Use classic frames, design frames, colored or fun frames to create unique pieces of art! +100 filters & effects: themes likes vintage, black & white, seasons, old film, cinematic, and much more! Blur – Includes Tilt-Shift & Artistic Blur effects that bring the subject of the photo to life! 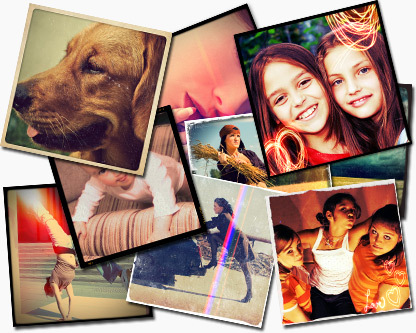 InPixio Photo Editor also allows you to add unique picture frames to your photos to help accentuate certain aspects. Frames are available in the free version and more options included if you upgrade to the paid version. Watch how easily one can transform an ordinary looking photo in something special with the built-in filter effects, Watch how filters are applied with a single click in the below video. Set and save personal pre-sets that can be accessed with a single click for new projects. Provides a multitude of filters and effects including old film, vintage, seasons, and more. Batch mode allows users to make changes to several photos simultaneously. Transform photos that have been taken in poor or extreme lighting allowing you to recapture the original mood and composition of the photo. Change the composition of any photo with features such as cup/crop, adding a vintage look, tint, and more. 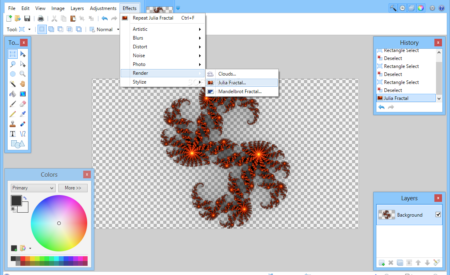 Software contains numerous pre-set effects such as contrast adjustment, brightness, saturation, etc. Crop, resize, or adjust the focus of your photos then add frames, texture overlays, and more. No learning curve required. Simply download and install the Free Version of InPixio Photo Editor and begin changing your photos into masterpieces. 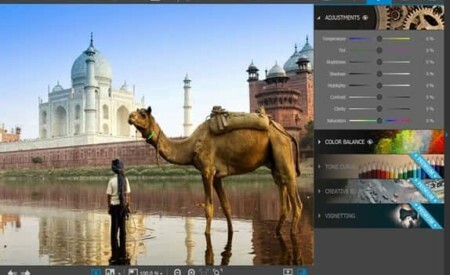 InPixio Photo Editor (Free Version) makes creating professional looking photos fun and easy for even first time users. Instructions are clear and simple to understand. Once download is complete, you are ready to begin transforming all your precious photos into works of art. In no time at all you will be ready to upgrade to InPixio’s pro version of Photo Editor which offers a wide array of additional features allowing you to create even more professional photos that will impress even the seasoned photographers among your family and friends.